On Friday, R&B singer The Weeknd, headlined one of the annual Abu Dhabi Grand Prix after-race concerts. His girlfriend, Bella Hadid, jetted into the capital to cheer on her beau and enjoy the events of the Formula One weekend. The half-Palestinian supermodel announced her arrival into Abu Dhabi with a breath-taking photograph of Sheikh Zayed Grand Mosque. 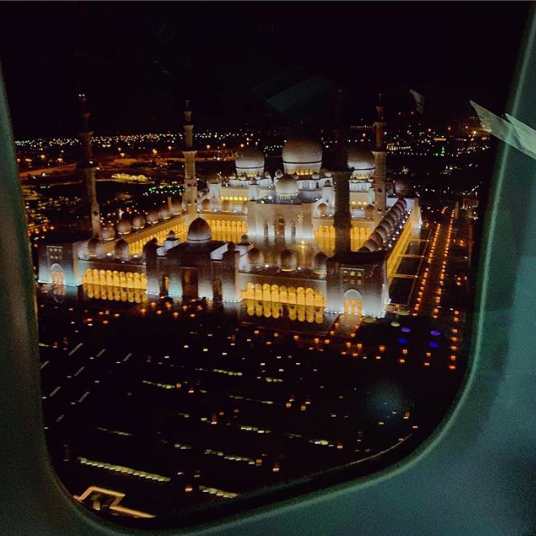 Proud-Muslim Bella shared the picture on Instagram, with the caption “Magic...Nothing in the world more beautiful to me.” The image was taken from the air and showcased Abu Dhabi’s Grand Mosque beautifully lit-up from above. Although Bella missed out on Thanksgiving celebrations back in the U.S., it appears that she still had plenty to be thankful for as she looked happier than ever with her rekindled love, The Weeknd. 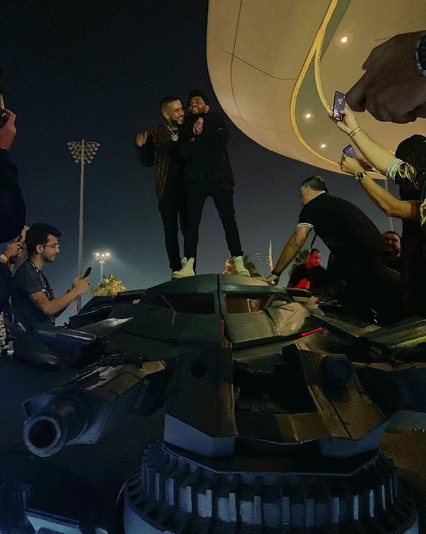 Bella shared Instagram stories and photos from her trip to Yas Island, including an image of The Weeknd and French Montana posing on a replica bat mobile. 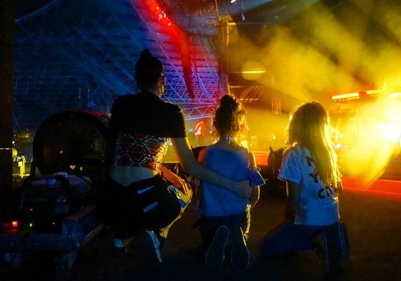 The F1 weekend was made even more special for Bella when she was reunited with her cousin and nieces. 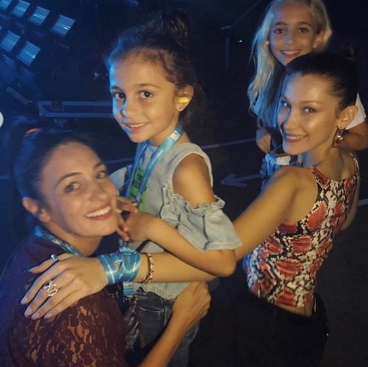 Bella’s family joined her backstage to watch The Weeknd’s concert at Yas Island –as Bella described Abu Dhabi as one of her favourite places in the world.